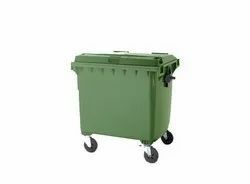 We are offering Wheeled Dustbin to our client. 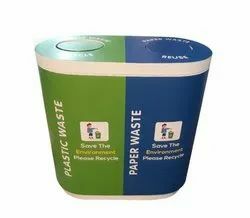 We are offering Wheeled Garbage Bin to our client. Size L 32" x B 16" x H 32"
We are offering FRP Dustbin to our client. Capacity: 60 ltr x 2 binsSize: L 32" x B 16" x H 32"Weight: 20 kg approx. 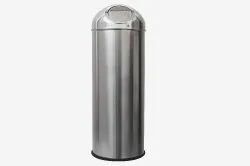 We are offering Steel Dustbin to our client. Material: SS 304 Grade (MATT Finish)Capacity: 140 Ltrs ( 70 Litre x 2 )Lid & Inner Bin of 202 Steel Grade.Size: W: 400 x L: 800 x H: 800 mmThickness: 1 mm | Swing Dia: 8 inch. 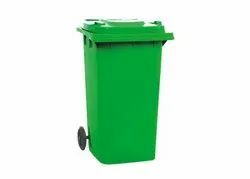 Looking for Wheeled Dustbin ?